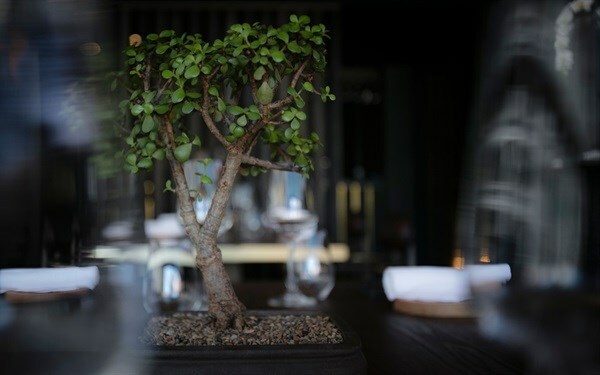 Considered a stalwart on the South African culinary map, Chef de Patron and founder of the new urban restaurant FYN, Peter Tempelhoff is a lover of complex dishes; favouring the use of coastal plants and fynbos. It is no surprise that Tempelhoff would name his new restaurant after the Afrikaans word fynbos, which also means 'fine' in English. 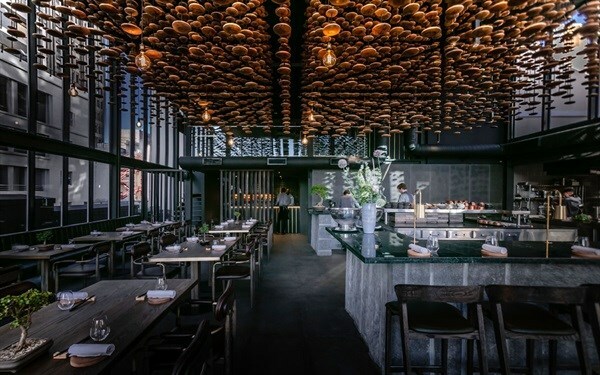 FYN is run by executive chef Ashley Moss (Tempelhoff's former head chef at Greenhouse) and general manager Jennifer Hugé (former La Colombe general manager). 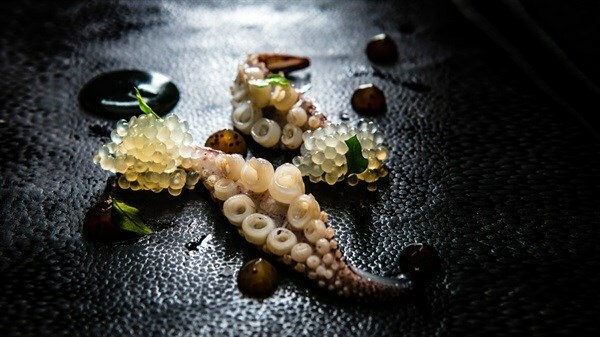 Tempelhoff says FYN is an urban restaurant for people who don’t have a lot of time, offering "a menu with as much flavour and texture in a shortened version as you would expect in a long tasting menu". 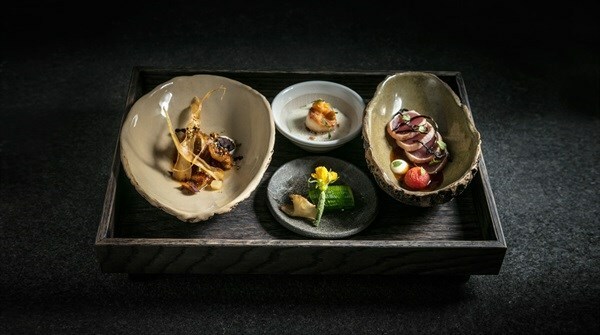 Served in the Japanese kaiseki tradition, guests can expect a completely different kind of fine dining experience. Beginning his chef training in Cape Town at the Institute of Culinary Arts, Tempelhoff embarked on his studies at the Culinary Institute of America and thereafter made his way through a series of Michelin-starred restaurants in London; where he was mentored by the likes of Marco Pierre White, Aaron Pattern and Giogio Locatelli, crafting restaurants to be the best in the city. 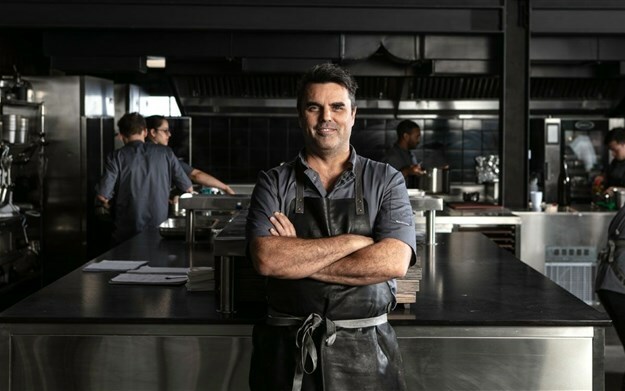 Appointed as executive chef at Grande Provence Heritage Wine Estate in Franschhoek on his return to South Africa, Tempelhoff quickly grew his local footprint to being voted Sunday Times Chef of the Year. 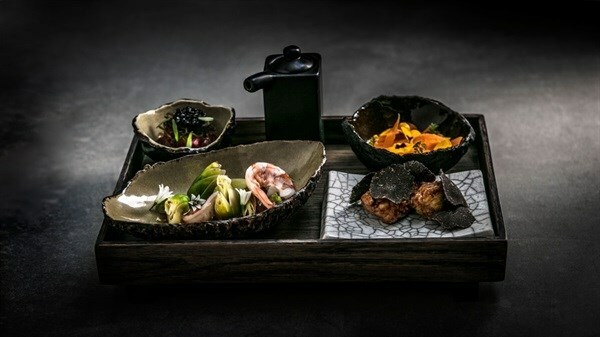 From here, he went on to oversee five kitchens under The Liz McGrath portfolio – the collection was awarded numerous accolades including a nine star in Rossouw’s Restaurant Guide. 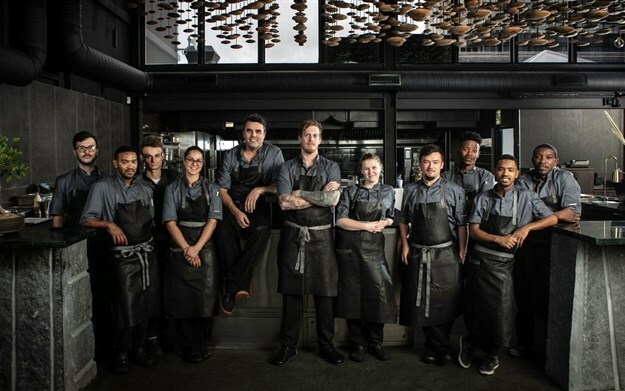 In 2018, the former Greenhouse Restaurant chef was placed 134th in the world selection for the top 300 Best Chef awards – only one of four South African chefs to be featured on the list. What inspired you to become a chef and what drives your passion for food? I was inspired by my desire to spend the rest of my life in a creative space working with my hands and my senses. My passion comes from my love of flavours and that every plate is making someone happy. Tell us about your journey and what it’s meant? It has been an amazing 22 years of discovery and exciting challenges. Being the late bloomer, I was, I had a lot of catching up to do—from the age of 27, I had to hustle and shake to get where I wanted to be—and that’s right here, right now - running one of the most successful restaurants in South Africa and about to open my first one. An exciting journey that is far from over. What was it like to work with Giorgio Locatelli and Marco Pierre White – what were the takeouts from this experience? Anyone working with chefs such as Giorgio, Marco and any other of the modern legends will always take something from the experience. Marco’s kitchen taught me how to handle the pressures of the kitchen environment plus the importance of speed and common sense in the workplace. Giorgio’s cucina (cooking style) was all about respecting the best ingredients, with a serious focus on keeping things simply plated but well executed. How have your travels influenced your cooking and use of flavour? Travel is an important source of inspiration for me; I would definitely not have the same comprehension of flavour and textures if I didn’t have the opportunities to spend time in all the foreign kitchens over the years. I suppose I could sum it up really quickly- Japan lightened my food; Spain simplified my approach; France gave me confidence and America added restraint. Any personal favourite FYN menu items you'd suggest first-time visitors try? 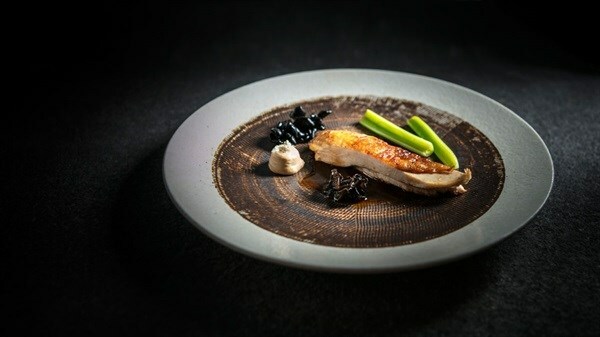 I love the guinea fowl dish; it has such fantastic balance and a wide range of flavours. 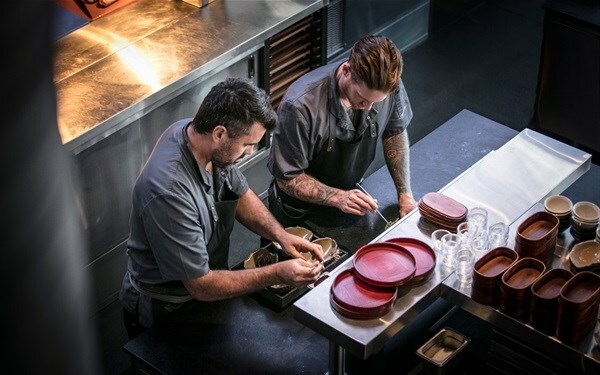 You were recently placed 134th in the world selection for Top 300 Best Chef Awards – what has this nomination meant for you, especially being one of four South Africans to be placed on the list? Of course, it is always nice when someone gives you something you were not expecting! I am happy that someone thinks I should be ranked so high on a list of world chefs; but at the end of the day, it is a tribute to my team and to the guys that support me every day - they are the real world’s best chefs. You are one of the most revered chefs in the country. How do you break the mould and challenge yourself to continue to explore new flavour sensations for your patrons? I don't see myself as that at all. I'm really just enjoying what I do and have a great love for our industry. I fail a lot in the kitchen, but I think failure is a very important part of the creative process, having the courage to take risks while exploring new ideas promotes abstract thinking, which is great for discovery. What is the inspiration behind the name FYN? My business partner, Ashley Moss and I were at the end of a long name-generation process – which saw us go through 300+ names, without anything sticking. Suddenly Ashley just kind of blurted out, "What about FYN? ", almost as a passing remark. The moment we heard it, the penny dropped and we knew it was right; complementing what we wanted to create in the space. I would also like to think that it’s gonna be a fine place to dine. I am very proud of my Afrikaans heritage and the name we have chosen. What differentiates FYN from other restaurants in its class in Cape Town and the rest of South Africa? The restaurant was a slab of concrete a few months ago, which gave us a chance at a completely blank canvas – this doesn’t come around very often. It meant that we could engineer each inch of the space as we pleased; within budget that is. 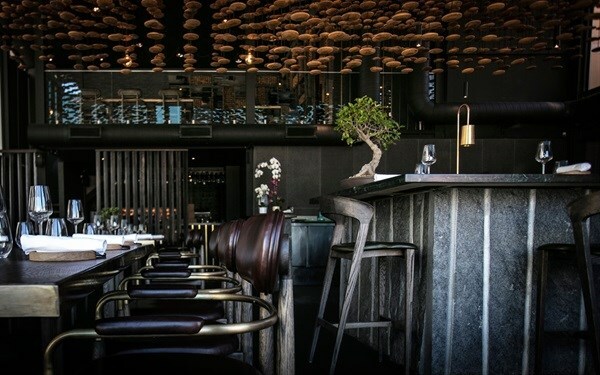 It’s the reason that almost every element of the restaurant was designed with FYN in mind; from the very first act of raising the level of the floor by half a metre, to meet international wheelchair regulations, to designing each bowl specifically to fit onto a specific tray and to match a piece of crockery. It is quite amazing to eventually see all the pieces fitting into place to form FYN. 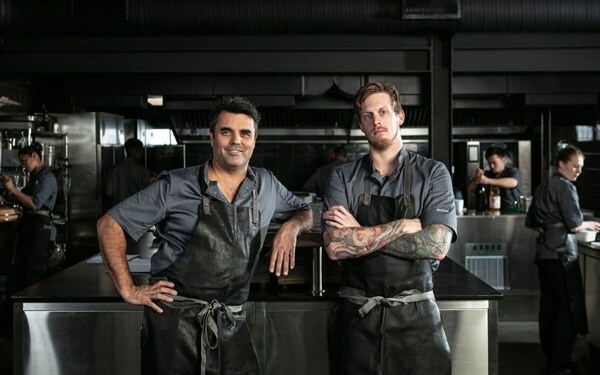 Tell us more about your decision to open a restaurant in Cape Town’s CBD? I love the city and its energy. Being smack in the middle of the city opens new markets for my cuisine, as it's an accessible, vibrant spot which is on the rise. The journey I have had with the designers and partners has been fantastic. To have my vision transformed into such an edgy and exciting space is an amazing feeling. I think If you plan too far ahead, you get lost and disappointed as things never go to plan. The best growth is always organic. Take small and regular steps to reach your goals. What sort of trends do you forecast in the near future for hospitality? 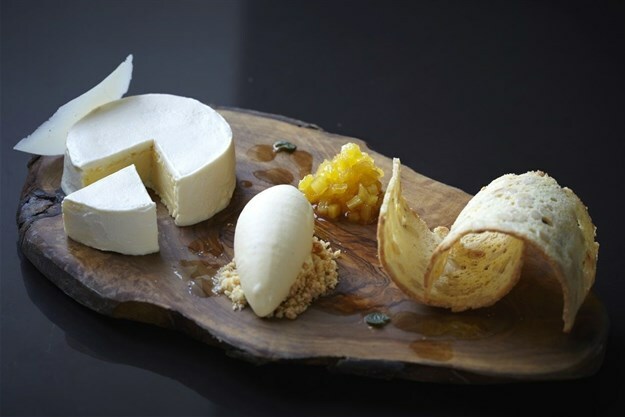 Simple fine dining is definitely on the cards, in other words; restaurants that trim away all the fancy bits and present food that is real to the core and focused on flavours and natural presentations. Selfish eating will be coming back as well, as a lot of people are not into sharing their food with others any more - I know I don’t want to share my lamb chops with my mates… not sure about you! Do you have some words of wisdom you can share with up-and-coming chefs? Keep your head down and chop, chop, chop, lest you get chopped, you chop! On a more serious note, keep pushing yourself to improve- never go from a good kitchen to a bad kitchen, always find a place that is better than the last! 1. Combine the biscuits, butter and chocolate and press the mixture evenly into a lined springform tin. 2. Add the warm cream cheese to a mixer followed by the dry ingredients. Mix well for three minutes and then add the eggs. Once the mixture is smooth, stop the machine and fold in the cream. 3. Pour the mixture onto the crust and bake in a water bath for 70 minutes at 170° C, or until just set and golden on top. 1. Cut the cherries in half and place them in a hot oven (180° C) for four minutes. Remove from the oven and hold. 2. Meanwhile, boil the sugar and water to 125° C and add to the puree. Mix well, allowing the mixture to cool slightly before adding the gelatin leaves. Mix well. 3. Fold the mixture through the cherries and chill until needed.